Moorpark Place staff raised awareness of stress for Mental Health Awareness Week 2018, by carrying out a CPD session for staff. The session focussed on the need for being aware of stress and coping strategies for managing time, and organisation which when mismanaged can create a feeling of stress. The Moorpark Place Psychology Team helped to celebrate the week by holding a stall raising awareness of managing stress. A resident helped to create the poster and information for the stall. 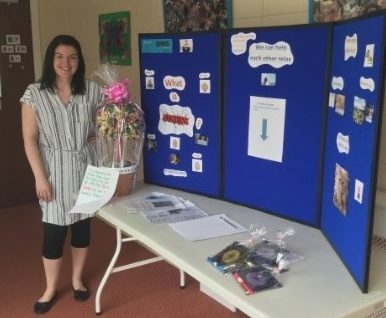 During the week the Clinical Psychologist spoke to residents and staff and offered our residents free relaxation packs, which contained a relaxation CD and some bubbles.